The ultimate golfers bucket list trip awaits when you play Gleneagles Course, home to the 2014 Ryder Cup and historic St. Andrews! Enjoy 5-star lodging, reserved, guaranteed tee times, transportation to the courses daily, meals, and more as part of this luxury golf travel package. Play golf on Gleneagles, host of the 2014 Ryder Cup, then head to the most famous course in the world, St. Andrews in Scotland. These are some of the most coveted tee times in the world, but are guaranteed when you purchase this golf travel package. There are 7 courses at the St. Andrews Links and 3 courses at the famed Gleneagles Resort. 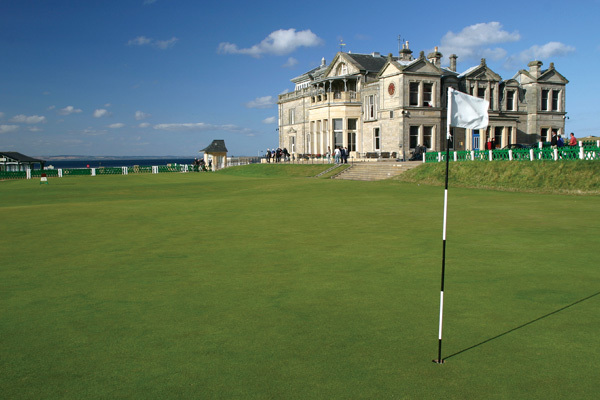 This golf package includes rounds at the Old Course, the Jubilee and Kingsbarns. Then your trip wll conclude at the Gleneagles Resort where you will play the PGA Centenary Course and the Kings Course. Options are also available to play the Queens Course when available. Please fill out the following form to request finalize your Scotland Golf quote. We will contact you via the phone number and/or e-mail address you specified in the form.